​When you look at his picture in his youth you just know you are looking at a character of some importance. The cocksure grin, the bush moustache, the racing goggles. 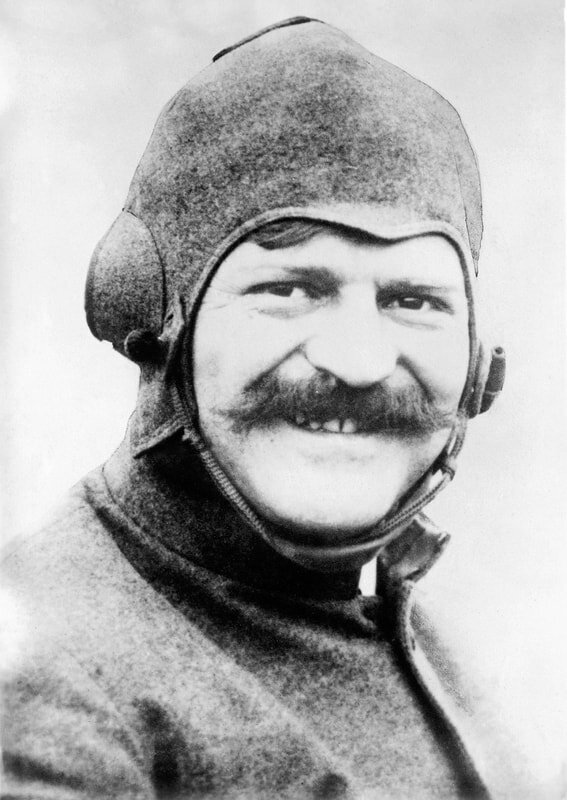 At 5-10, 210 lbs Louis Chevrolet was nothing if not impressive. Strong willed, strong physically, and as skilled a driver as existed in America. He would go on to set a land speed record in Daytona, innovate the racing world, and lend his name to one of the greatest brands in history. In fact his name has been spoken millions of times a day for well over 108 years, and longer if you factor in his racing days. It’s hard to come up with too many other Americans who can ever claim the same. In 1910 GM founder Billy Durant had just been ousted from GM by a cabal of bankers, who after having deprived GM of any working capital, took the company over with a loan that cold only be described as outrageous (9 million in fees and commissions on a 12 million dollar loan). While the company was saved, Durant was marginalized, his former employee Charles Nash was now in charge (at Durant’s suggestion), and Billy was back in Flint licking his wounds, but he didn’t lick long. Instead he met with Louis Chevrolet and told him “ I need a car”. Chevrolet was the right guy to be sure. How he became a colleague of Durant’s is an interesting story on it’s own merit. Born on Christmas day 1878 in Switzerland, the son of a clockmaker, Louis had a gift for invention, engineering, and most of all racing. In 1888 his family moved to Beaune, a small town in Burgundy, France, where he excelled at racing bicycles. He even invented one called the Frontenac. He worked for several French auto companies, and in 1900 his family moved to America. Louis started racing Fiats in the states and he beat one of the all time legends of auto racing Barney Oldfield 3 times in 1905 alone. He started to take on legendary status of his own as a racer. While competing against the Buick racing team one day in Wilkes-Barre, Pennsylvania his and Buick driver Lewis Strang’s cars broke down almost simultaneously. Chevrolet’s was beyond repair, so the head of Buick’s team William Pickens asked Chevrolet if he could help repair the Buick Strang was in. Chevrolet agreed and worked all night on the car, improvising parts, and the next day Strang and his Buick won the race. ​Duly impressed, Pickens recruited Chevrolet to join the Buick team and design race cars. Chevrolet said he’d rather race them than design them. Pickens agreed, so along with “Wild” Bob Burman, Strang, and Pickens Buick became the best racing team in the United States. Louis and his brothers Arthur and Gaston moved to Flint and lived on Root Street just north of downtown. Arthur became Durant’s chauffeur. The Buick team went on to win half of all auto races in America, and Durant was so pleased that he presented all of them with $10,000 bonuses ($100k today) at the end of the 1909 season. Burman and Chevrolet remained energized and were well known for racing each other up and down Saginaw Street in Flint, with one notable incident occurring when Chevrolet rolled his car down the street and landed upright, and undaunted again on his tires. Shocked witnesses said he just gunned the car and disappeared down a side street, presumably back to his house on Root. 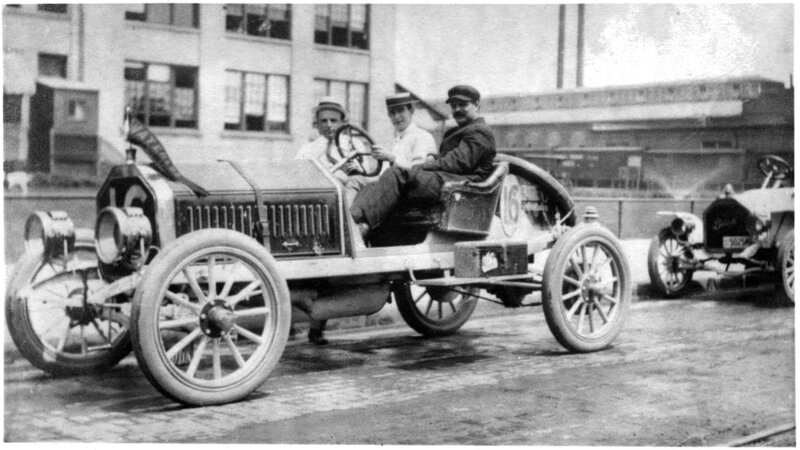 The Buick racing team had become a thoroughly modern, elite unit. They traveled from race to race in a specially constructed railway car, outfitted to serve the team. It was a rolling machine shop, complete with a blacksmith’s forge, and a second car that held 8 racers, in addition to luxury quarters in another car. The most important endurance race in the country at the time was a 396.6 mile race. Chevrolet had two specially designed hybrid vehicles created for the race. A blend of a Marquette car, and a Buick, they were built to Chevrolet’s exacting specifications, one for himself an one for Burman. The race was such a huge event in Flint that a telegraph station was set up at the track so progress reports could be wired back to the Buick factory on Hamilton Avenue. Originator David Buick sat transfixed in front of the crowd staring at the telegraph and sweating it out with the rest of the leadership. Reports of the race poured in with Chevrolet alternately gaining and losing the lead, and finally the last report came in- Chevrolet has won by 65 seconds, Buick leapt to his feet shouting and the rest of the room went wild. The Indianapolis 500 opened in August of 1909 and Buick was right there, fielding 15 cars including Louis and Gaston Chevrolet. It was Louis, Burman and Strang winning the Prest-O-Lite trophy. Despite the team success Buick leadership didn’t think they would fare well against elite European competition because Chevrolet and Burman were so competitive and focused on whipping each other every single time out that they wouldn’t coordinate defeating drivers form other teams. So when Durant made his move the famous name of Chevrolet was the big name he could leverage from a celebrity and marketing standpoint. Durant made Chevrolet an early minority partner with payment of 100 shares of stock in the new company. And subsequently set Chevrolet up with a quasi-secret shop on Grand River Boulevard in Detroit to assemble six cylinder cars from parts purchased from various suppliers. Chevrolet knew he needed some help so he brought in a friend and fellow Frenchman, Etienee Planche to help out. He had worked with Planche in a Brooklyn, New York shop ten years prior. Together during the winter of 1910-11 they worked diligently to design and build a prototype that Durant would okay for production. Meanwhile Durant was working his magic again displaying his sheer genius for raising copious amounts of capital in a short time frame. In fact back in Flint he was able to easily raise a huge sum of money almost overnight. With a capital investment of nearly 1 million in (the equivalent of 26 million in 2019 dollars) he deployed the funds to start Chevrolet and a new engine plant in Flint operated by another former colleague and engine innovator Arthur Mason who would help build the new Chevy engines and run the plant. Durant set him up in his own company- Mason Motors - both to placate Mason’s growing ego, but also to create a company tha the could later leverage as part of another consolidation like he did with Buick, and Oldsmobile to form GM. Mason had been part of the triumvirate that had perfected the Valve-In-Head engine with David Buick (Walter Marr and Eugene Richard being the other two). That innovation was as close as you can get to a specific physical reason that Buick, and ultimately GM were successful. Durant also brought Charles Begole and William Ballenger in to fold to team with William ‘Big Bill” Little to organize the Little Motor Car Company. Designed to fill the space left when GM’s new braintrust pulled the popular Model 10 from production, and take on Henry Ford’s Model T.
The Little Company was incorporated on October 30, 1911 and the Chevrolet Motor Company of Michigan on November 3, 1911 with Headquarters in Detroit, and Louis Chevrolet, Bill Little, and Dr. Edwin Campbell (Durant’s son in law) as the incorporators. Chevrolet and Durant would however, soon part company. Durant didn’t like that Chevrolet always had a cigarette hanging off of his lip, he thought he should smoke cigars. But more important than that , they disagreed about the kind of car the Chevrolet should ultimately become. Durant wanted to compete with Ford in the mid price space, Chevrolet favored a bigger, faster, more expensive car to match his outsized personality. When the final incarnation of Chevrolet was perfected and lined up to be leveraged to help Durant take control of General Motors again, Chevrolet had parted company with the firm that bore his name. Chevrolet was on his own again, seeking his own path. Durant meanwhile build Chevrolet in to another juggernaut. In fact Chevrolet actually purchased General Motors in one of the most astonishing boardroom coups in American business history. Durant was back in the saddle again, and GM would never look back. Unfortunately fortune did not shine so brightly on Chevrolet. Walking away cost him many millions of dollars, and other set backs along the way saw the wealth he did have dissipate. He died with little financial fortune, but a name and legacy that will always be in the upper echelon of American, and indeed world brand history.